We love being a Church of England School within the Derby Diocese. We were really pleased to receive an Outstanding judgement in October 2017 for our Siams inspection. You can find the link to the report further down this page. Walton on Trent CE(C) Primary and Nursery School complies with legal requirements by providing a daily act of Collective Worship for all pupils on the school roll, unless they have been withdrawn by their parent(s) 'on grounds of conscience'. Teachers also have the right not to attend or lead an act of Collective Worship 'on grounds of conscience'. The majority of our acts of Collective Worship are 'wholly or mainly of a broadly Christian character' whilst recognising the religious, spiritual, moral, social and cultural insights provided by other principal religions and life-stances represented in Derbyshire and in Great Britain. For further information on the relationship between our school and British Values, please see the schools British Values statement. In addition, Collective Worship at our school is one of a number of means that the school uses to support the children's understanding and engagement of their spiritual, moral, social and cultural development. Where can Collective Worship take place? 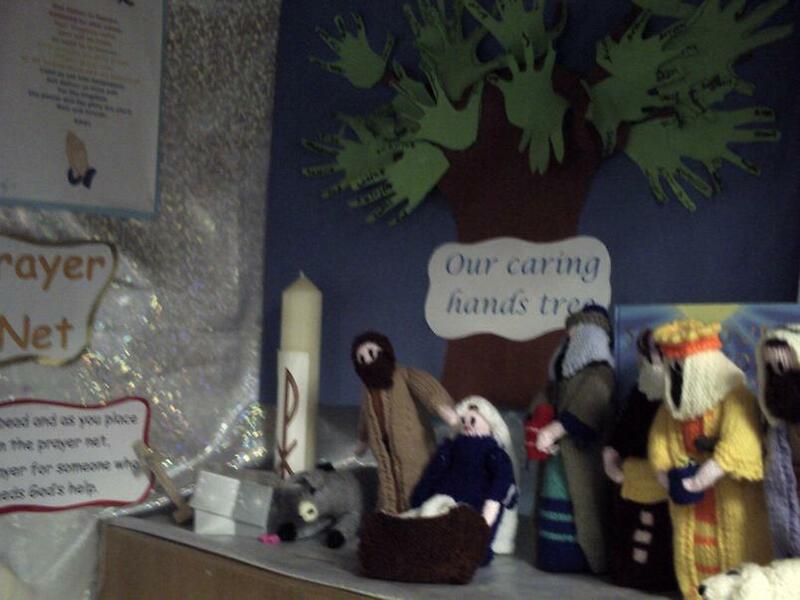 Collective Worship can take place anywhere appropriate, such as within the classroom, the school hall or the schools outside areas. It can be a single class, a year group, a Key Stage or the whole school community. We vary this over the week. It is not always possible for the whole school to gather in one place, although it is desirable to try to do this at least twice a week. Parents have the right to withdraw their child from the daily act of Collective Worship without giving a reason for doing so. At Walton we are able to recognise this wish and ensure a duty of care for any pupils withdrawn from Collective Worship. We have six RE Ambassadors. This year they are Sammy, Ellis, Ella, Kannedi, Ellie and Nathaniel. Our RE Ambassadors help us lead our Collective Worship each week. Last year some of our ambassadors attended a training day at The Swanwick Centre and introduced a set of RE songs to the whole school. We now use these on a daily basis and the children really enjoy singing them as a whole school. 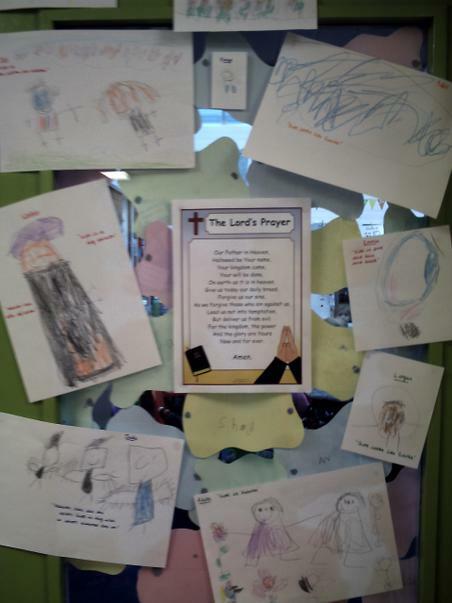 Each day they greet the whole school to collective worship and introduce the teacher, vicar and/or special visitor. They also lead our singing and help out with our special RE days. The RE Ambassadors wear special badges so everyone knows who they are in school. They also welcome the children and staff in to worship. Around school we have a number of reflection spaces for the children to enjoy thinking and sitting quietly. The teachers change these each term. A few examples of the reflection spaces can be seen below.